Russel Baptiste left his little restaurant in Trinidad to become a registered nurse in the States, but the dream of rebuilding his café stuck with him. 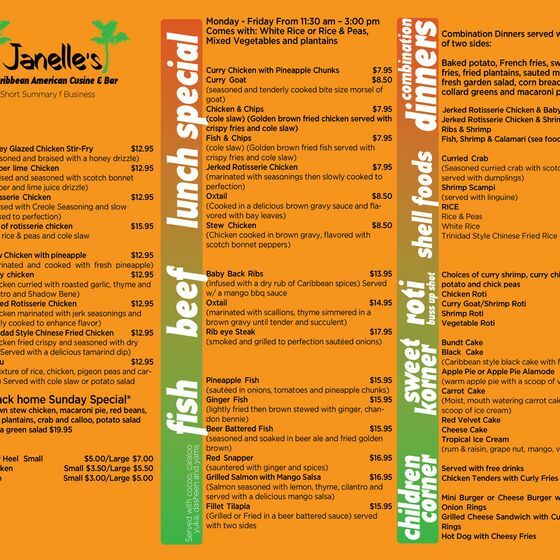 Over a decade later, on May 27, he’ll finally open Janelle’s. After gutting a former Prospect Heights dance studio, Baptiste gave it a bright, carnival-esque paint job, and added a full bar, about 65 seats, windows that open onto the street, and a basement lounge for watching soccer games. 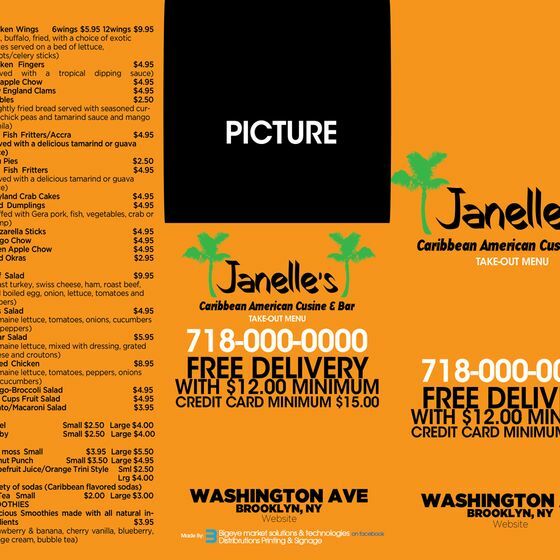 Fellow Trinidadian Joan Hurst created the Caribbean-American menu below. To drink, there’ll be fruit smoothies, Caribbean beers, and (for the sake of novelty) bubble tea. With the recent openings of steampunk bar the Way Station and Minor Arcana across the street, the belly-lining “back home Sunday special” (macaroni pie, red beans, crab and calloo, brown stew chicken, and plantains for $19.95) may be in high demand. Click through our slideshow to see what to expect.